Billy Vunipola has been ruled out of action for four months after scans confirmed he sustained a knee-cartilage injury in Saracens’ 41-13 win over Sale Sharks on Saturday. Vunipola underwent surgery this morning (Sunday) on his right knee to repair his meniscus. 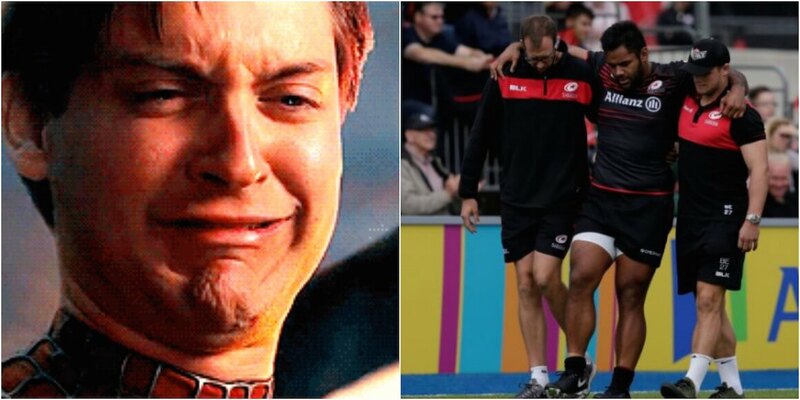 It is expected Vunipola will undertake a period of rehabilitation over the next 16 weeks. Mark McCall, Saracens Director of Rugby, said: “For any team to lose a player of the ability of Billy is a blow and he will be missed through the autumn for both Saracens and England. “It’s desperately disappointing for him, considering how hard he has worked during the offseason to get back to full fitness, but Billy is a resilient character and he’ll have a strong support network around him to get him back on the field in the best possible shape.